Molybdenum (or “moly” as it’s often called) is a silver-gray metal that was first discovered in 1778. The base metal doesn’t occur on its own in nature, and players in the molybdenum industry usually extract it as a by-product of copper and tungsten. It can be found in the minerals wulfenite, powellite and molybdenite, though molybdenite is the main mineral used to produce molybdenum. According to the International Molybdenum Association (IMOA), 80 percent of the molybdenum that is mined each year is used to make stainless steel, cast iron and superalloys. Molybdenum has a high melting point of 4,730 degrees Fahrenheit, and steel becomes much harder and highly resistant to heat and rust with the addition of just a small amount of the metal. The remaining balance of molybdenum used in chemicals, particularly lubricants and paints. The metal is also finding more use in the oil and gas sectors, where refineries use it in catalysts to reduce the amount of sulfur in gasoline and diesel fuels. According to the IMOA, molybdenum use rose to 512.6 million pounds in 2016, up slightly from the previous year’s total of 510.1 million pounds. Meanwhile, molybdenum production fell. In 2016, the world produced 503.2 million pounds of molybdenum, down from 517.1 million pounds in 2015. South America was the largest producer of molybdenum in 2016 with a total of 178.5 million pounds produced. China produced 78.3 million pounds to land in second place, while North America was the third-largest molybdenum producer with output of 110.3 million pounds. The US Geological Survey notes that there were some concerns that Chinese production of molybdenum would fall last year due to stricter government inspections for producers in the country. The government has made a commitment to cleaning up the industry, and is looking to force producers to either shut down their molybdenum facilities or upgrade them to comply with tougher environmental standards. However, there have been no recent updates on the impact of those inspections. Molybdenum demand should keep rising in the coming years as the BRIC countries (Brazil, Russia, India and China) continue to urbanize and adopt more advanced technologies. In doing so they will require more superalloys and other high-performance steels, which molybdenum is used in. In addition, the metal is in a strong position to gain as the energy sector expands. As mentioned, molybdenum is often mined as a by-product of copper and other metals. However, there are also mines in the molybdenum industry that focus specifically on the metal. For example, Freeport-McMoRan (NYSE:FCX) subsidiary Climax Molybdenum operates two molybdenum-only mines in Colorado. The company has to crush 2,000 pounds of ore to recover just 4 to 6 pounds of molybdenum. 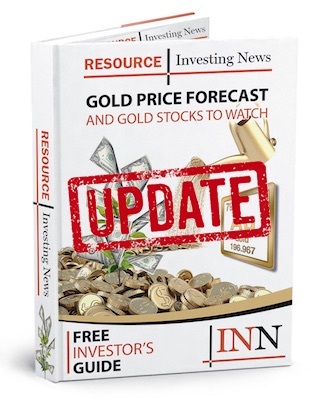 Centerra Gold (TSX:CG) has primary two molybdenum mines that were put on care and maintenance, but could be revived once prices improve. It acquired them via its 2016 purchase of Thompson Creek Metals Company. In addition, some molybdenum is recovered from old mine tailings. Amerigo Resources (TSX:ARG) operates one such facility at Codelco’s El Teniente copper mine. Major firms that mine molybdenum as a by-product include Southern Copper (NYSE:SCCO), Rio Tinto (NYSE:RIO,LSE:RIO,ASX:RIO) and Anglo American (LSE:AAL). It is also possible to invest in companies that are exploring or developing molybdenum projects. General Moly (TSX:GMO,NYSEMKT:GMO) is moving forward at two Nevada-based molybdenum projects, and says that once they reach production it will be the largest pure-play producer of the metal in the world. Other companies with molybdenum exploration projects include American CuMo Mining (TSXV:MLY), Happy Creek Minerals (TSXV:HPY), Moly Mines (TSX:MOL,ASX:MOL) and Starcore International Mines (TSX:SAM). This description was last updated in June 2017.